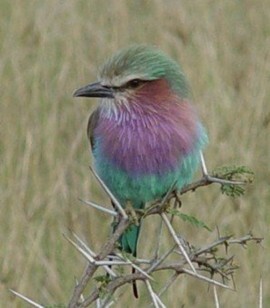 In Kenya, one of the great destinations for lovers of wildlife, it is possible to enjoy some of the parks on foot. Our Kenya walking safari itinerary does just that, allowing you to admire some of Africa’s finest wildlife in safety and with a sense of freedom. Visit some of the most scenic areas of the Great Rift Valley on foot and see some of the most amazing wildlife on our Kenya walking safari including giraffes, black and white Colobus monkeys, bushbucks, gazelles, Elephants, rhinos, buffaloes and all of the big cats! Our Kenya walking safari itinerary allows you to admire some of Africa’s finest wildlife in safety but with the sense of freedom and participation that being on foot confers. This itinerary visits some of the most scenic areas of the Great Rift Valley where walking and game viewing can take place in the total absence of mass tourism. The highlights are the Crater Lake and Crescent Island sanctuaries, Hell’s Gate National Park, Lake Elementaita, with certain viewing of Giraffe, Waterbuck, Elands, Zebra and various Gazelles. 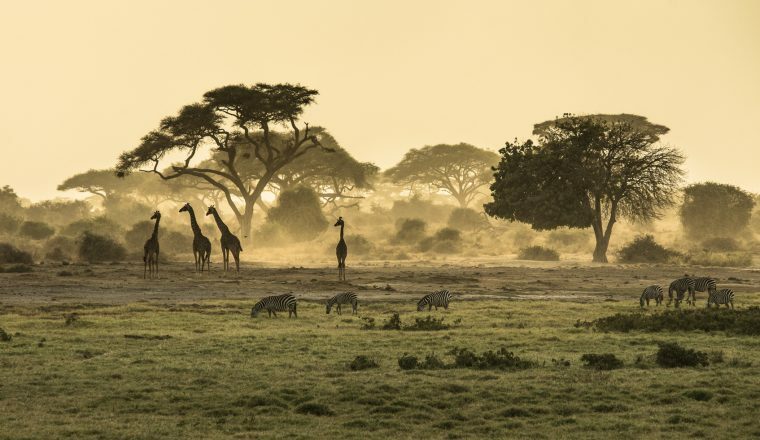 You’ll visit Lake Nakuru National Park on the Kenya walking safari, coloured pink through the presence of thousands of flamingos, and the open grasslands are home to White Rhino and the Rothschild’s Giraffe. Black Rhino is found in the forests around the lake. 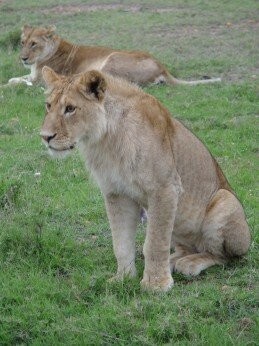 Masai Mara, the Africa that every one dreams of, takes up the last 3 days of the tour, with Elephant, Lion, Leopard, Cheetah, Topi and Hippo all claiming our attention. A walk guided by Masai people makes this a perfect Kenya walking safari in all senses. Low season is April, May and June except for the Easter Weekend when there’s a supplement. High season is July through October. There is a mid-season price for November to March. If you want to do the trip in these months let us know and we will calculate a price. and a Flying Doctors Evacuation cover. Arrival and transfer from the airport to the Eka Hotel for overnight. Day 3: Morning game drive in the nearby Solio Ranch. It is not possible to walk here because there are many big and dangerous game, such as 2 types of rhinos, buffaloes, oryx, lions, cheetahs… Only elephants are lacking of the big five. 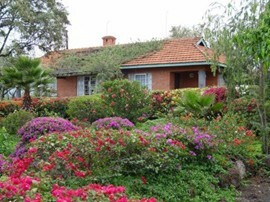 Day 4: Lake Naivasha Country Club. First there is an afternoon walk on Crescent Island, a peninsula in Lake Naivasha where we look out for Masai giraffes, gazelles, warthogs, impalas, wildebeests and hippos in the lake. We start with an early morning boat ride on Lake Naivasha (1 hour), mainly on the lookout for hippos, king fishers, cormorants, storks, fish eagles and the game on Crescent Island. Later we go for a walk (with a picnic lunch) to Crater Lake for a walk in the game sanctuary and for descending into the crater to the local camp there. Days 7, 8 & 9: To Masai Mara. Stay at the Mara Leisure Camp. These days are spent doing game drives and we also include a walk combined with a visit to a Masai homestead, where you can see how the Masais still live as they have for many past generations. Leave Mara after breakfast and head towards Nairobi. Lunch is at the Kiambethu tea estate where we will be given a talk about tea from its arrival in Kenya, its growing and until it gets into your cup. In the afternoon we still do a short walk into the tea plantation and to a small stretch of indigenous forest. Late afternoon transfer to the airport for outbound flight. Guides and organisation: This holiday is organised by Peter who is Belgium with his Kenyan wife Anne.